The Bentley Historical Library will be open late – until 9 p.m. on: April 1, 8, 15, and 22. 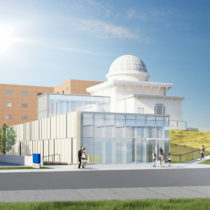 The Board of Regents recently approved design plans for a new addition to the 165-year-old Detroit Observatory. The project will add about 7,000 square feet to the second-oldest building on campus, without changing the original 1854 structure. Completion is scheduled for the fall of 2020. Brian Williams, a Bentley assistant director and archivist, takes Deborah Holdship from Michigan Today behind the scenes and into the Vault, a restricted and locked area that holds some of U-M’s most precious artifacts. Listen in to the adventure on the podcast. 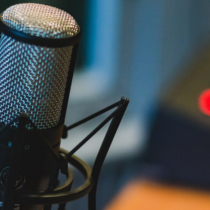 Before televangelists and megachurches, there was John Zoller, who began preaching on the radio in 1924. By the time he died in 1979, his “America Back to God” program reached hundreds of thousands of people from places as distant as South Africa. 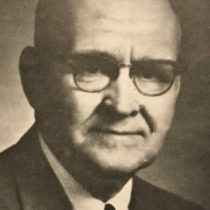 In 1936, William Haber joined the faculty of the University of Michigan, where he would become a world-famous economist, author of scores of academic publications, chairman of the Economics Department (1962), and Dean of LSA (1963–1968). He would also be a champion for refugees and immigrants. 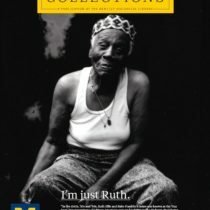 Have you read the latest issue of Collections magazine? You can browse stories online, or download the full magazine. The most recent issue features LGBTQ pioneer Ruth Ellis, code-breaking economist Ross Wilhelm, the White Panther Party, Native American soldiers, and much more. 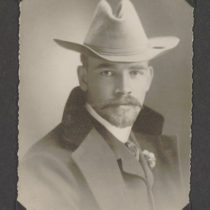 Ocha Potter was a global adventurer and miner, with treks that took him from Anchorage to Africa. During the Great Depression, he plotted to save the economy of Michigan’s Upper Peninsula through tourism. 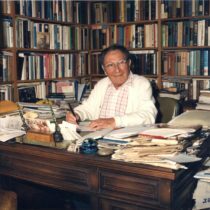 His full story, from wilderness to wealth, can be found in his papers at the Bentley Historical Library. When three members of the White Panther Party were accused of setting off bombs across Southeast Michigan in 1968, evidence of their guilt was acquired through wiretapping without a warrant. 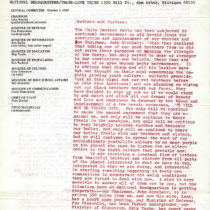 The case made it all the way to the Supreme Court and, today, collections at the Bentley document the details of this historic ruling. Ann Arbor, MI 48109-2113 U.S.A.